Because of recent media coverage related to measles in other regions of Washington state, we wanted to post a general reminder of Blaine School District's policy related to immunizations. Keeping our students and staff safe is a top priority. All of our schools give vaccination information at registration, and all of our students/families and staff are asked to reference our policy on student immunization and life-threatening health conditions: Policy 3413. Please also see our related procedure, which includes information on vaccination exemptions: Procedure 3413P. If there was a confirmed case of measles, the health department may order that exempted students be excluded from school temporarily during an outbreak or an epidemic in which case we would follow our procedure on exemptions. 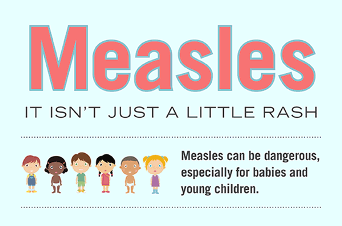 Click here to access a handout about measles from the Whatcom County Health Department. If you have questions about the MMR (measles, mumps and rubella) vaccine or other immunizations, please contact your health care provider or the Whatcom County Health Department. If circumstances regarding measles in Whatcom County should change, information on our website and Blaine SD mobile app will be updated, and parents will receive communication from their child's school.